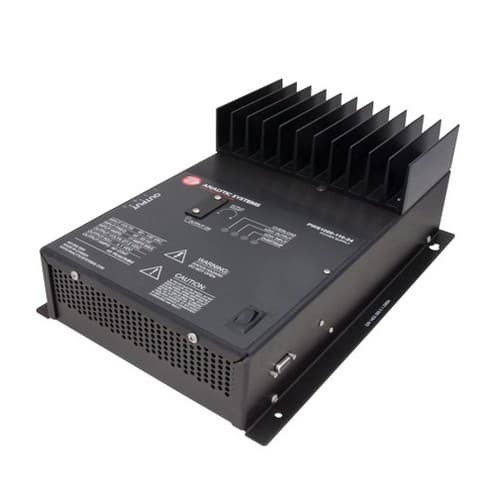 The PWS1000 Series of power supplies provides 12, 24 or 48 Volts DC at 1000 Watts of continuous power from a 110 or 220 Volt AC source. The newly updated single-board PWS1000 is ultra-quiet and features the latest generation of current mode PWM control. 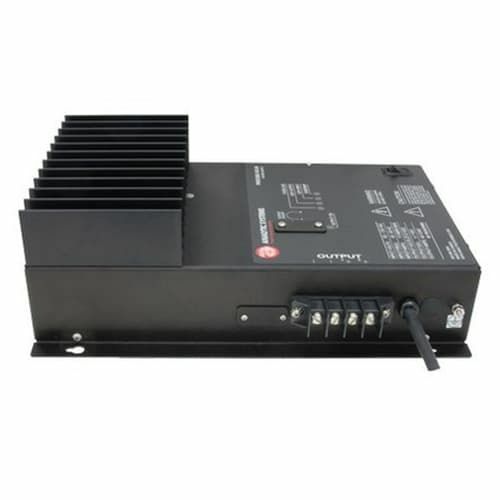 Extra features include adjustable output voltage audible and visual indicators for low input voltage, low output voltage, over temperature, overload and output on. 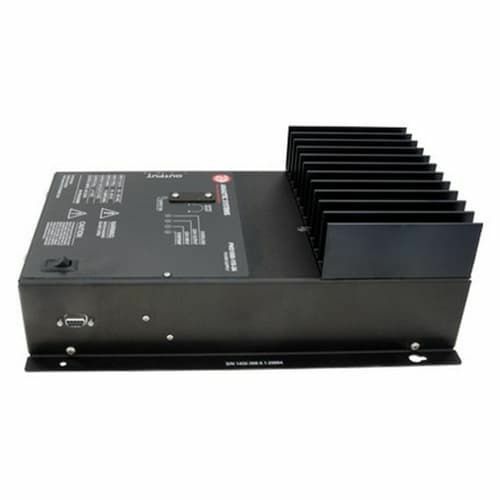 Either 110 or 220 VAC input (Field Convertible) is available. The PWS1000 also features a four contact output terminal (two positive and two negative contacts) for easy connection of devices to the supply.